PHOENIX – For one state lawmaker, allowing political candidates to keep their home addresses out of the public record would help ensure their safety. For another, allowing former judges to keep their addresses and phone numbers out of public records would accomplish the same. Three bills introduced so far during this legislative session aim to make what currently is public information private, including a measure that would keep the names of lottery winners secret for 90 days to give those people time to prepare for the world knowing. One of the proposed bills, HB 2071, authored by Rep. Kelly Townsend, R-Gilbert, would prevent filing officers from releasing a candidate’s address if the candidate requests it. Home addresses for those running for the Legislature currently are available on the Secretary of State’s Office website and elsewhere in the public record. 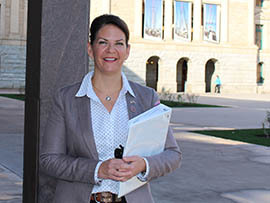 Sen. Kelli Ward, R-Lake Havasu City, a co-sponsor, said although she doesn’t mind if the public knows her address she understands the safety concerns of others. Dan Barr, an attorney specializing in media law, said it isn’t uncommon for there to be litigation about whether the candidate actually lives in the district he or she is running in. He said the public benefits from knowing where a candidate lives and how long he or she has lived in a district. “I think that’s very important that their home address be publicly available so people can check if they actually live in the district,” Barr said. Ward said the secretary of state would still know the addresses of candidates and could confirm that candidates actually lived in the districts they are running in. She also said other political candidates and the media are usually the only ones concerned about where a candidate lives. But Downie said that notion places too much trust in the secretary of state, adding that although the general public may not be deeply interested in a candidate’s residence it looks to the media to keep a lookout for problems. “The general public expects us to engage in accountability journalism and hold the government accountable,” Downie said. Townsend’s bill has yet to be heard by the Senate Elections Committee. SB 1073, authored by Sen. Steve Smith, R-Maricopa, would give former judges the option of keeping their addresses and phone numbers private. On Wednesday, Smith told the Senate Public Safety, Military and Technology Committee the change would ensure former judges’ safety because they often deal with violent people during their careers, adding that a former judge brought him the bill. Smith said judges’ addresses are protected while they are serving but become public record when they are off the bench. “We’re protecting them and their addresses while they’re on the bench, and I think it’s only suitable and fair when they retire, Republican, Democrat, whomever, to keep them safe from any further retribution they might experience,” he said. Smith’s bill won a unanimous committee endorsement. David Cuillier, freedom of information chair for the Society of Professional Journalists and director of the University of Arizona School of Journalism, said these kinds of bills could give people a false sense of security, as information can be found other ways, such as on the Internet. “I don’t think it’s going to make them actually safer, because any criminal that has a brain can figure out where a police officer or judge lives,” he said. Cuillier added that such bills, offered in the name of safety, are a slippery slope. Sen. John Kavanagh, R-Fountain Hills, proposed SB 1047, which would withhold the names of lottery winners from the public for 90 days. Kavanagh offered an unsuccessful bill in 2013 seeking to keep lottery winners’ names out of the public record entirely, but he said he compromised this time around after receiving pressure from Arizona newspapers. He said the bill is intended to give lottery winners time to beef up security and take other protective measures before the public knows of their newfound wealth. Kavanagh said he still doesn’t believe the public needs to know who won the lottery. “A glancing moment of titillation for the public, but a potential lifetime of annoyance and insecurity for the winner,” he said. Downie said that because the lottery is public money the public should know who wins. Cuillier said the bills of this nature may seem like a rational idea but ultimately limit transparency. 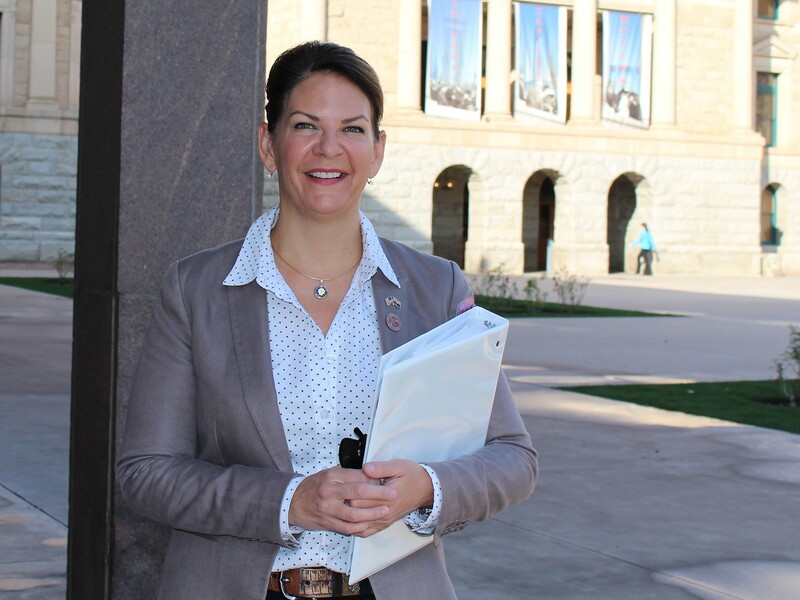 State Sen. Kelli Ward, R-Lake Havasu City, co-sponsored a bill that would allow candidates for public office to request that their home addresses remain secret. She said the change would keep candidates safer.